On to das laser chair! 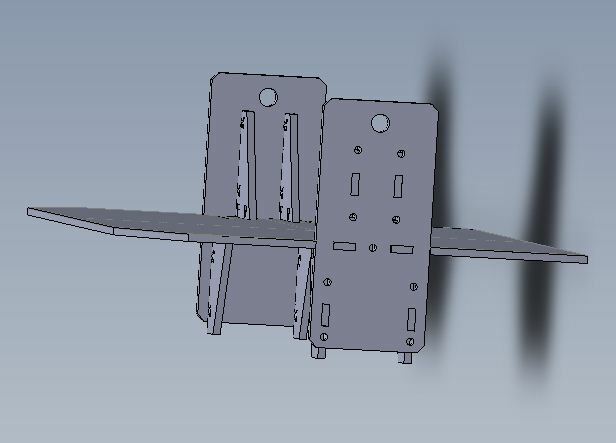 I whipped up this design in SolidWorks. 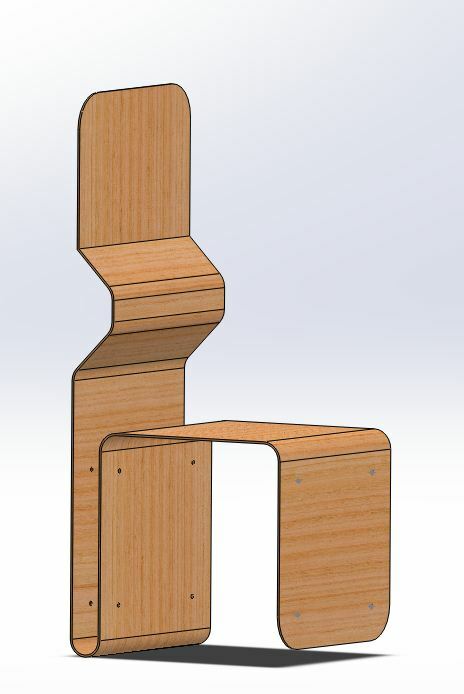 The chair is still in progress; I need to smooth out the lumbar support, add the living hinges, and bolt the bottom legs together to hold everything together. 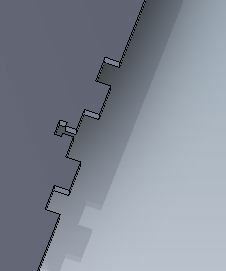 The living hinges will go where each of the bends are currently located. As always, make sure to check back soon. I’ll keep you posted with any and all updates. 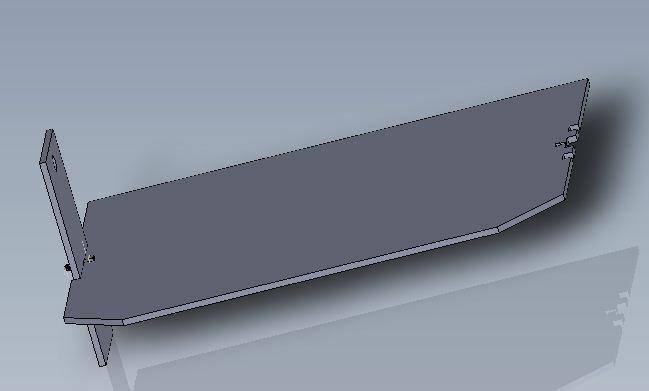 Expect .dxf’s once I have the hinges in so you can make your own! 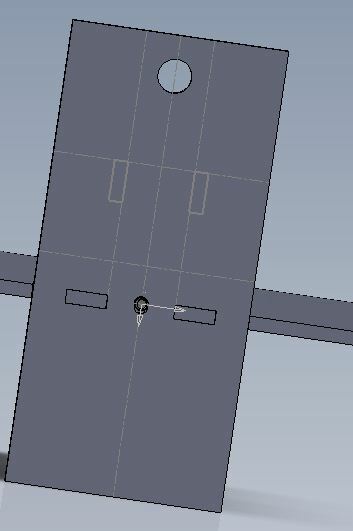 I have spent some more time in Solidworks working on the Chadway model. 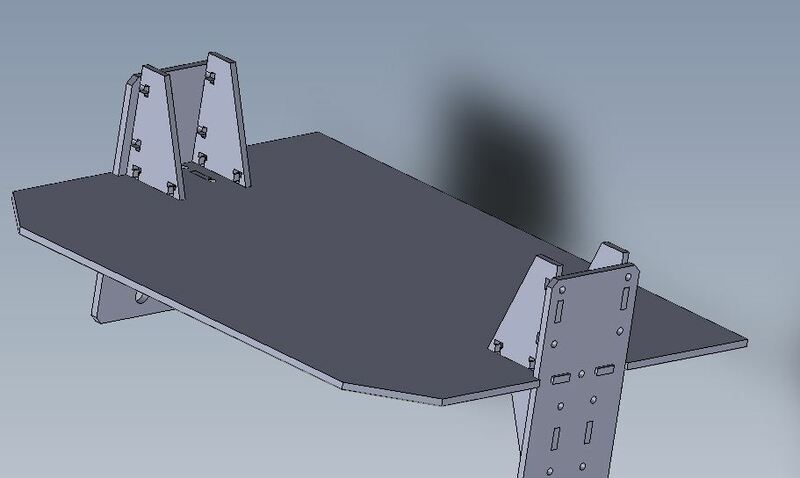 I am focusing on anchoring the wheel mounts so they won’t wobble or give in under the pressure of a rider on the platform. 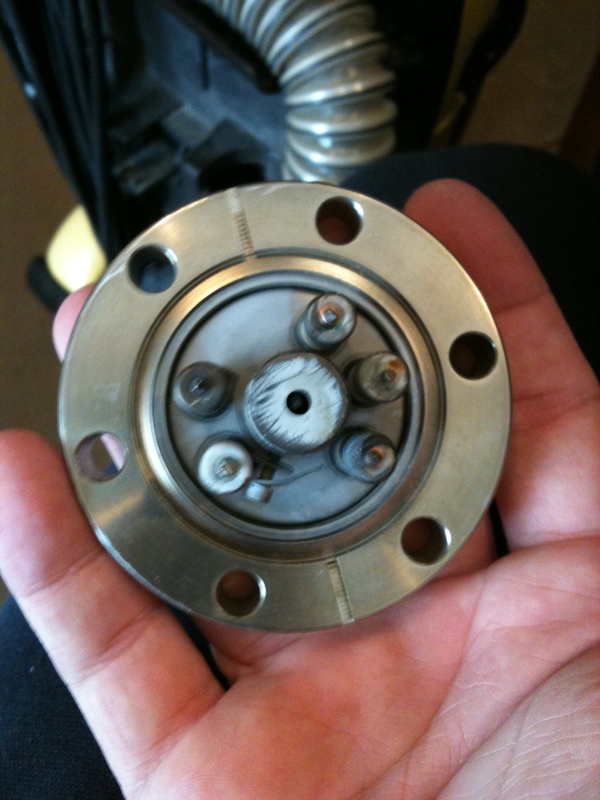 Each wheel mount has four braces attached to it plus an anchor point on the side of the platform. 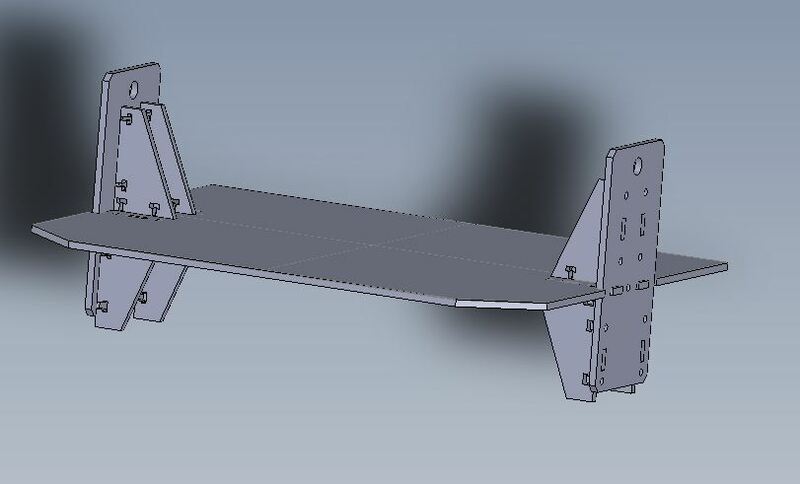 The goals of this version will be to have a direct gear drive from the motors to the wheels and elevating the centers of the wheels above the rider platform. 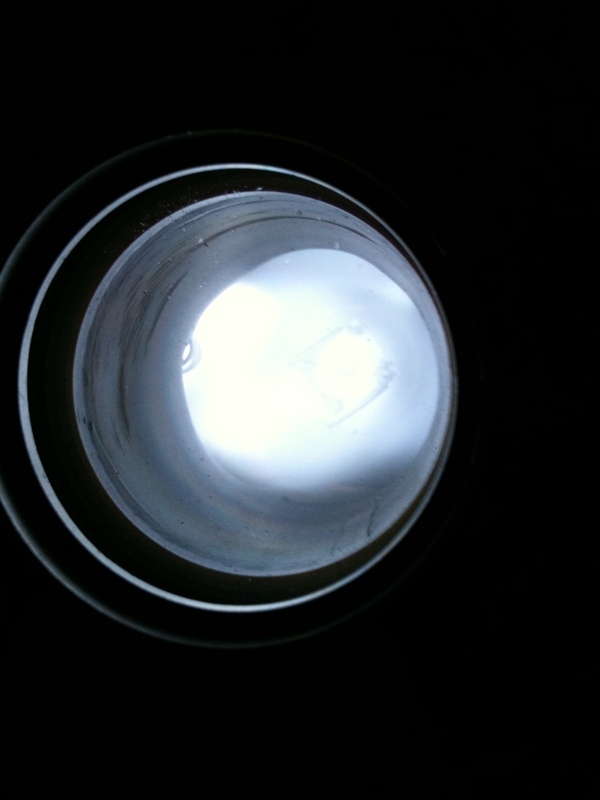 Lately, while running the reactor I’ve had to be incredibly careful while controlling the pressure of the chamber in order to keep the plasma ignited. 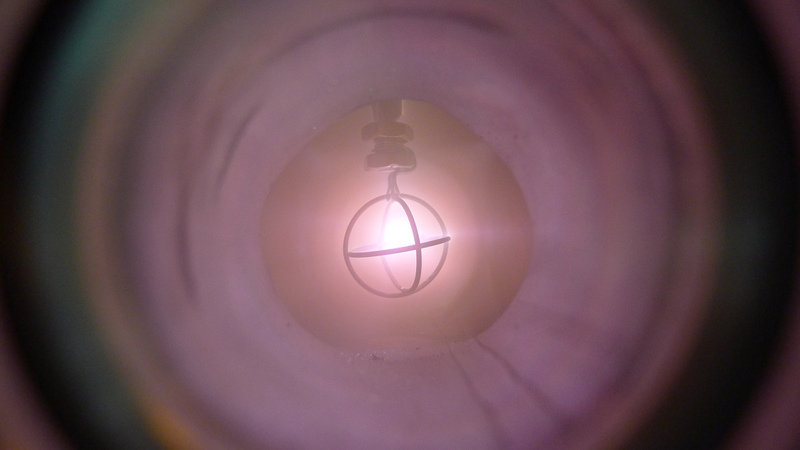 If the pressure goes too low, there aren’t enough ions in the chamber to sustain the plasma or the fusion reaction. 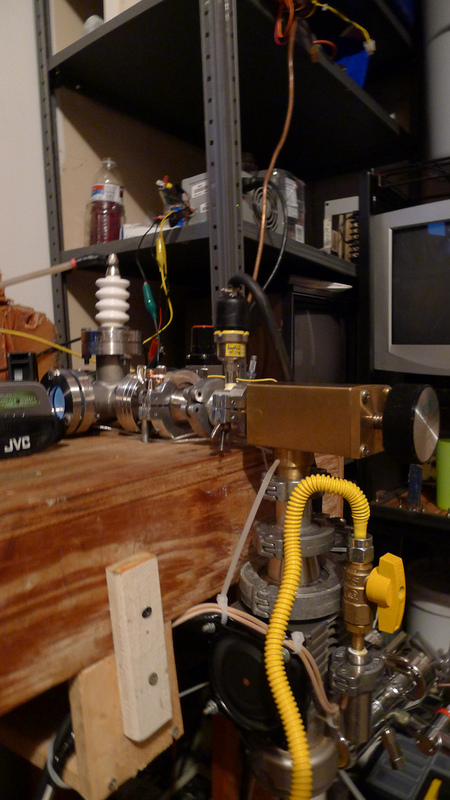 In order to remedy this, I have been working on throwing together a dirt simple/dirt cheap ion source. 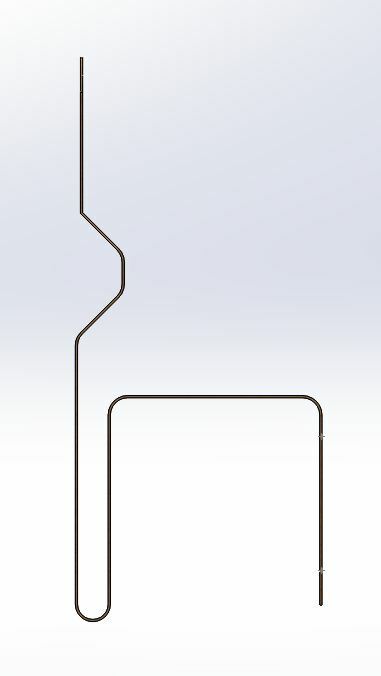 Its loosely based off of the magnetron source designs used by Tyler Christensen and Robert Tubbs. 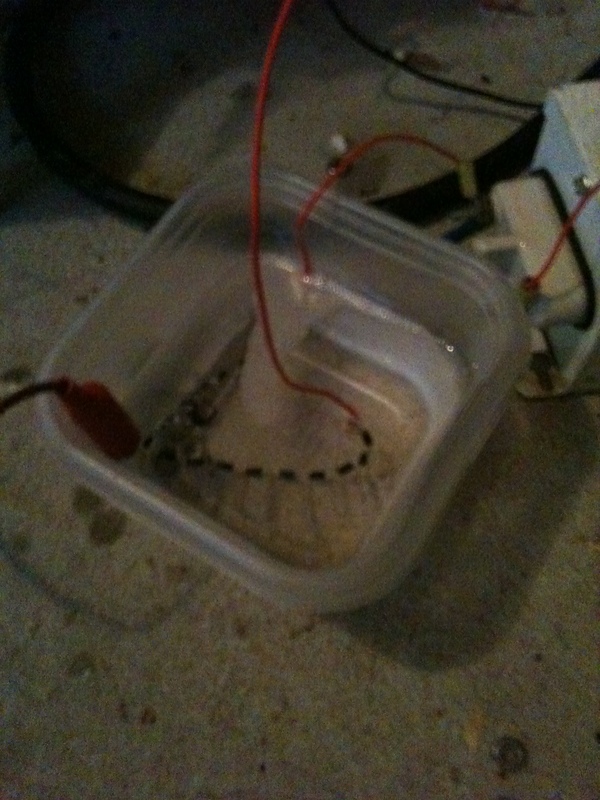 In theory its really just an electrode surrounded by an electromagnet. Make sure to check back tomorrow afternoon, I’ll be posting on several new additions to the reactor setup. If you don’t keep up with sci-fi/fantasy/geek-culture/pop-culture conventions you’ve probably never heard of Dragon*Con, in which case you should immediately go to there website and check it out. If you have heard of Dragon*Con, you are probably aware that it is arguably the largest multimedia (movies, comics, games, etc..)/pop-culture convention on the face of our great planet. It has been a desire of mine to attend the Con for several years now and never really had the chance until……..
Dru Meyers (the awesome guy who runs the science track at the con) invited me to attend and participate in a number of science track activities! So, needless to say I accepted his invite and will be attending Dragon*Con as a professional next weekend (the convention is from September 2-5). In addition to participating on several discussion panels (Evil geniuses for a better tomorrow, hacking 101, and 201), I will be presenting a talk titled “Neighborhood Nukes: DIY Nuclear Fusion Reactors” and demoing my reactor on Saturday night! It is truly going to be an epic weekend! if you are going to the convention make sure to come find me and if you aren’t, you should definitely consider attending. In the meantime I will be preparing the reactor for Dragon*Con so check back regularly and see what I’m up to! 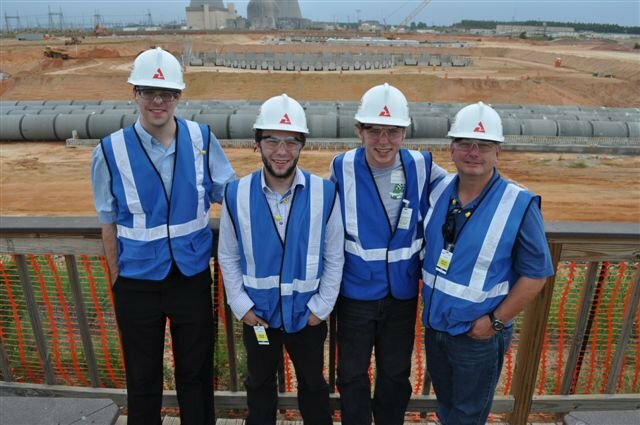 As I mentioned in one of my earlier posts yesterday, I have recently had the opportunity to tour both Vogtle and Belfonte nuclear plants. 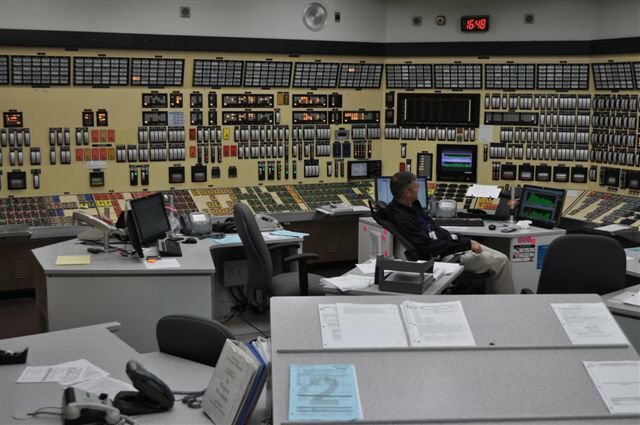 Due to security reasons pictures were a rarity but, fortunately enough, we were able to snap a few at plant Vogtle. 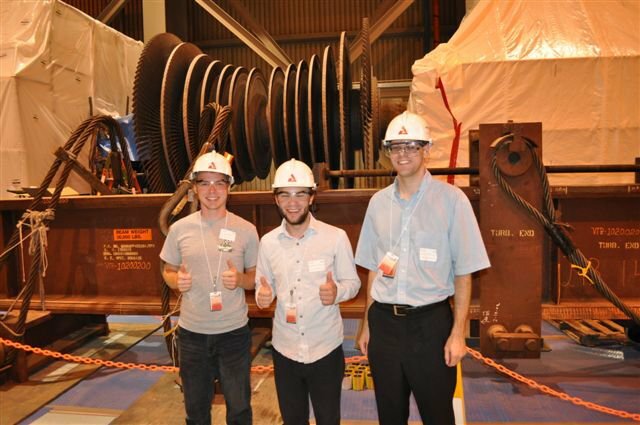 Steven, me, and Carl standing in front of one of the steam generator turbines. A breif snap of the unit one control room. Notice the almost entire setup is analog. 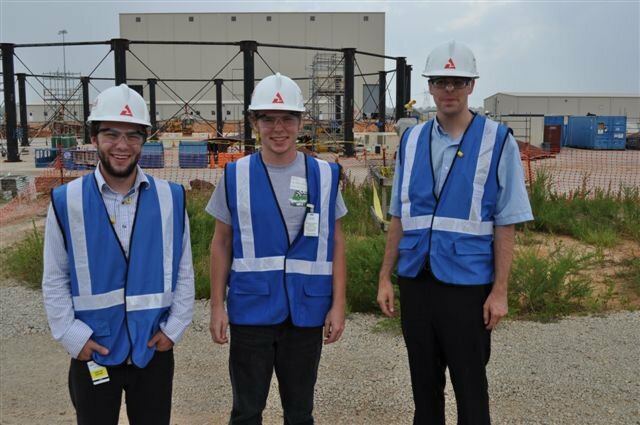 Me, Steven, and Carl standing in front of the reactor vessel assembly station where the vessel is just starting to be welded together. 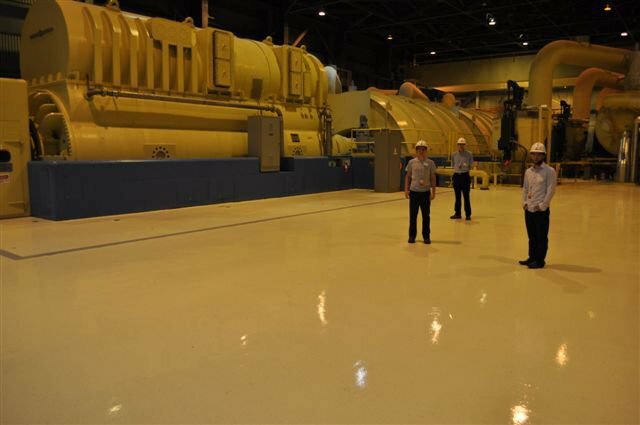 Standing inside of the massive generator room beside one of the two huge GE steam turbine generators. 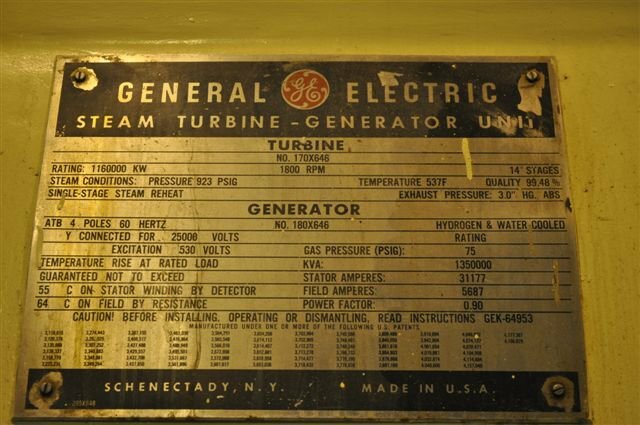 Veiw of the specifications for the GE steam turbine generator. 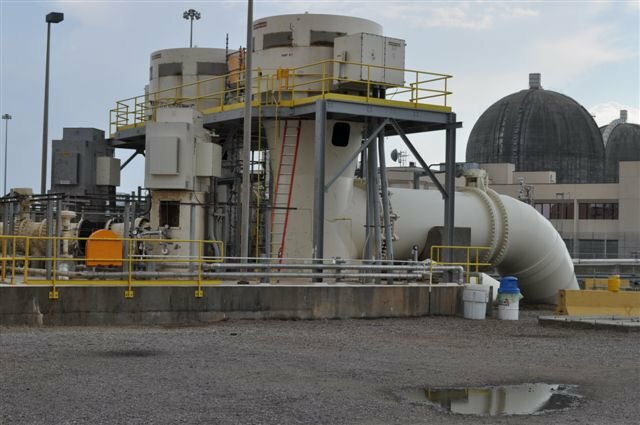 Two large 1/2 million gallon per minute rated pumps in the foreground and the two reactor containment vessels off to the right. Carl, me, Steven, and my dad standing in front of the construction sites for future units three and four. 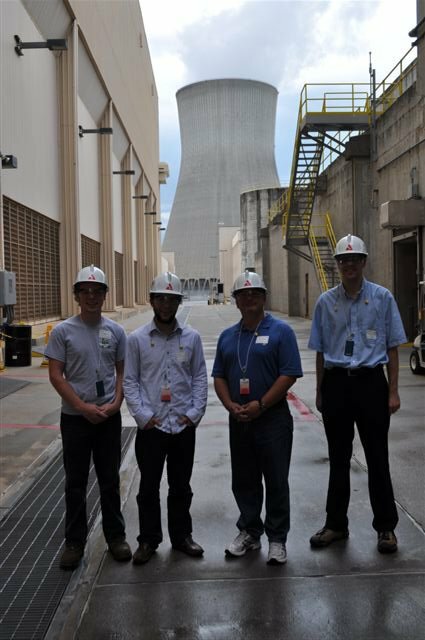 Steven, me, my dad, and Carl standing between the steam generator building and the control facilities, infront of the unit one cooling tower. Two weekends ago Carl Willis (a friend of mine who works as a nuclear physicist at a company that produces piezoelectric neutron sources) flew all the way from New Mexico out to Newnan to stay with me for the weekend. 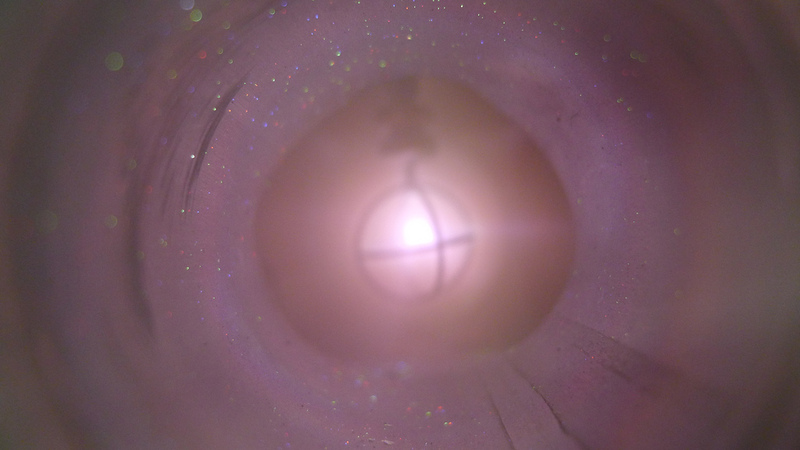 Our span of activities included working on my fusor, modifying my ludlum counter scaler, and touring two nuclear power plants (stay tuned for pictures from that). 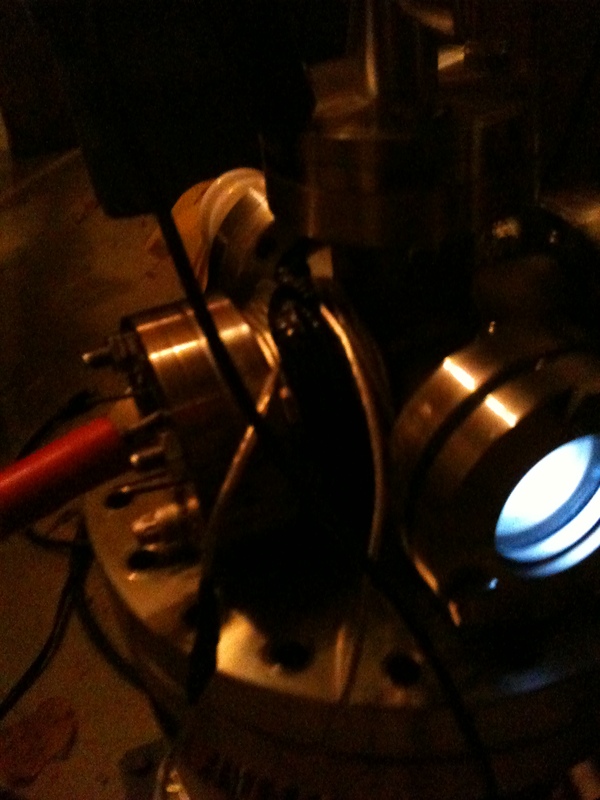 Carl was also so kind as to bring along with him a BF3 neutron detection tube and an Edwards KF-50 diffusion pump. 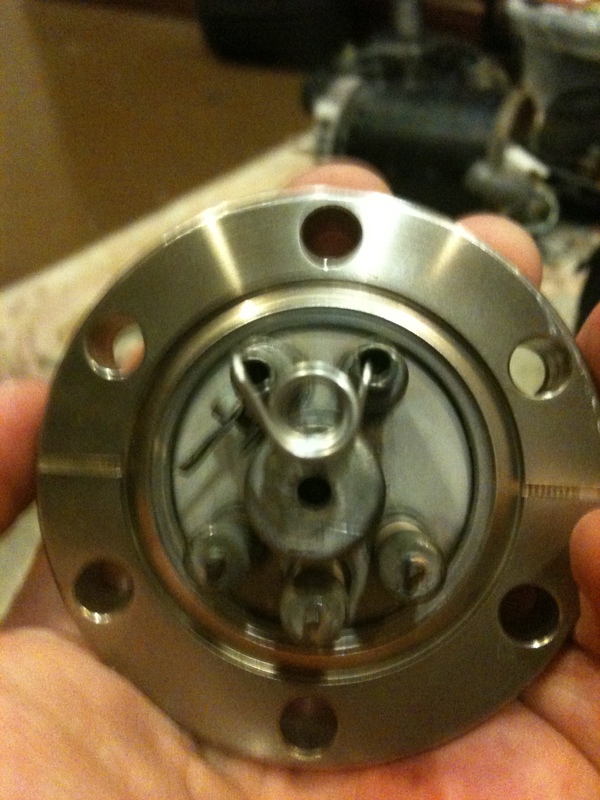 After a couple of nights of basic setup and leak checking we were easily able to obtain vacuum pressures suitable for fusion. 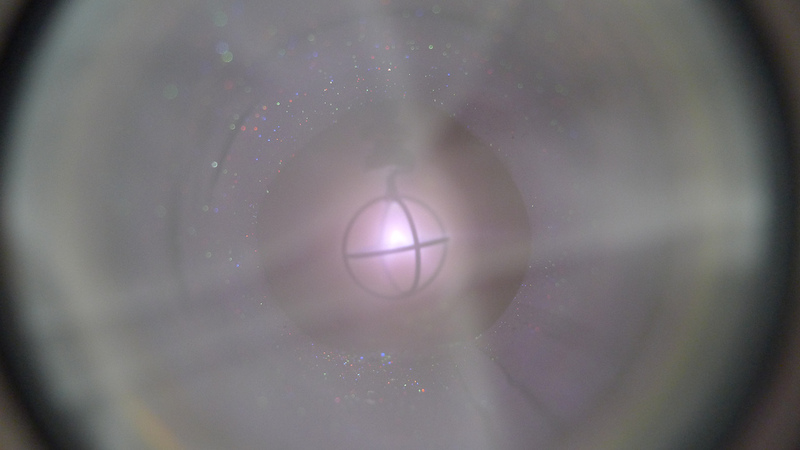 So fuse we did!……..Until I ran out of deuterium so, for now you’ll have to live with a video about x-rays and some beautiful star pictures. First off, check out these rays! Now for some star pictures! A bit out of focus but, I like the colors. 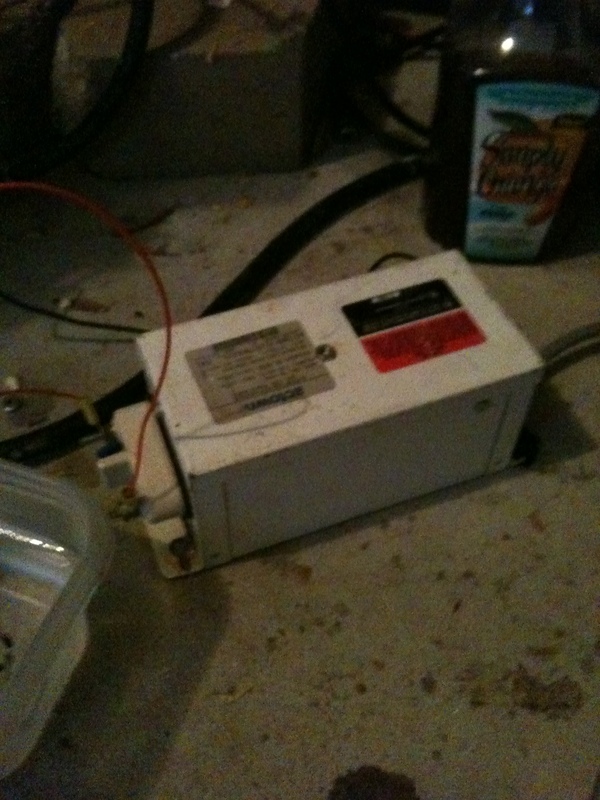 Soon I’ll be constructing an electrolysis unit so I can begin fusing again, at which point you’ll definitely see more videos, pictures, and information from me. 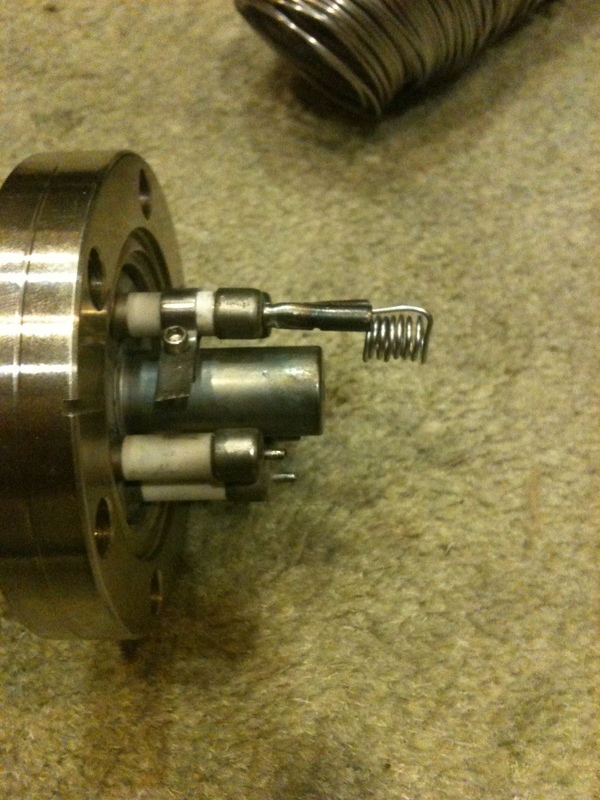 I have also been working on an magnetron ion source, look out for more on that tomorrow!